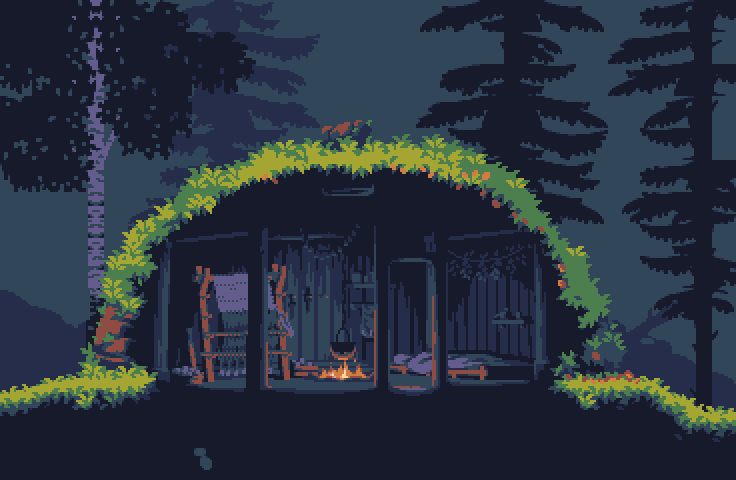 I wanted to use the oranges and purples in my game&apos;s palette, and thought drawing a house would be a good idea for that. Then I remembered what the houses in this setting look like ._. I should probably animate it, but I need a break from staring at this thing. It would look better with the shadows moving around, but just imagining how that would look on a sprite/tile sheet makes my brain hurt. @eishiya Love the colors and the scene composition. Are you using some palette? Or just using the best colors for the gameart style that fits? 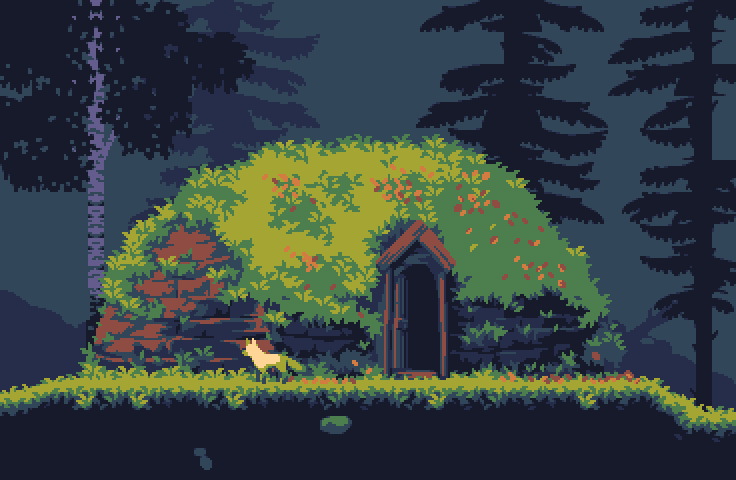 It&apos;s a 12-colour palette I made for this game (and this image uses 10 of the colours, but apparently some weird blended colours slipped in somewhere, bah). @eishiya that looks like that game I kickstarted like 10 years ago! @CodingItWrong Ooh, what game would that be? @CodingItWrong Aww. I&apos;m afraid of that sort of thing happening so I&apos;m not doing a KS for mine.